Buy Healthy Flax of Whola from Vadodara online | Authentic Indian Sweet , Savories and Delicacies from the place they originate by Moipot. Flax seeds or roasted alsi is a versatile and a healthy supplement for all meals. Rich in Omega 3 fatty acids, flax seeds are crunchy and an excellent digestive. 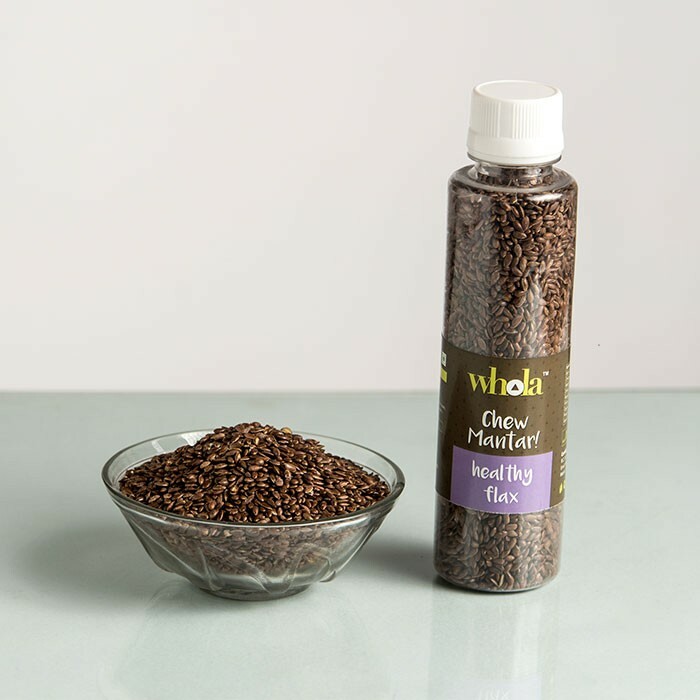 Grab the bottle of Healthy flax by Whola –an instant, flavourful mouth freshener which you would love to devour all day.